Have you ever wanted to soar through the sky like a bird? We mean literally. Wings included. Then look no further. Depending on your optimism spectrum, this ‘super cool’ wingsuit either looks set to ensure you plummet to your death while trapped in a webbed yellow onesie or achieve all of your greatest Birdman dreams. 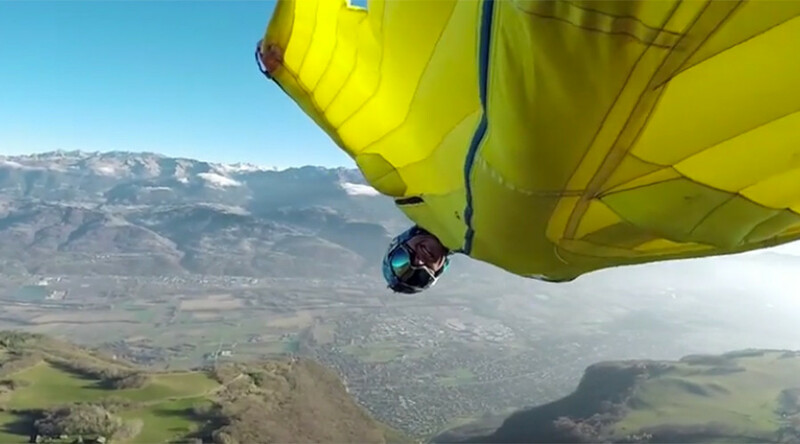 The epic stunt was carried out by Guillaume Galvani, who fearlessly launched himself off a French cliff and flew between narrow antennae before releasing his parachute. The video was posted by GoPro as part of their ‘GoPro Awards’ selection. Check out the surfer who walked away with last year’s top prize along with a $20,000 cheque.